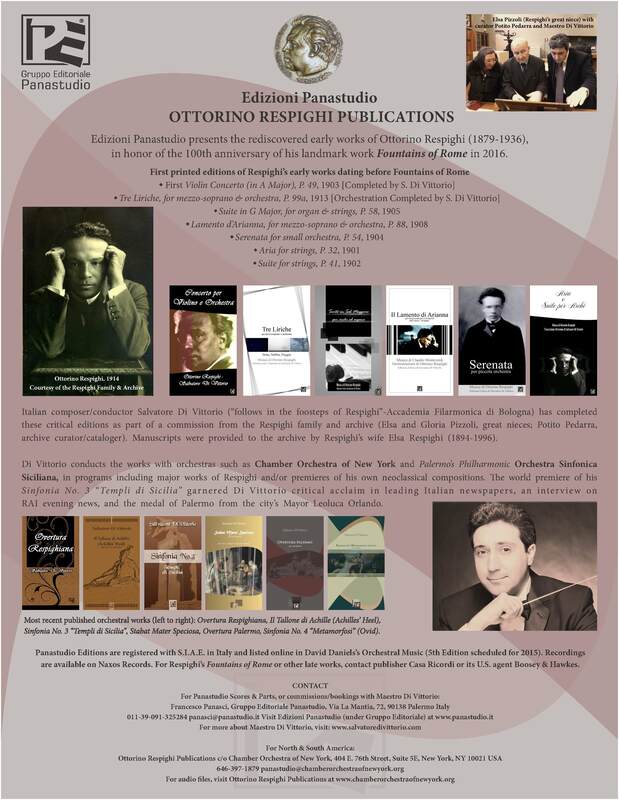 In the Spring 2014 issue of the League of American Orchestras’ Symphony Magazine, the Italian publisher Gruppo Editoriale Panastudio announces the international launch of their works catalog featuring the Ottorino Respighi Publications and Di Vittorio’s published orchestral works. The launch coincides with the upcoming centennial of Respighi’s Fountains of Rome in 2016, in advance of the 2015/2016 season. The advertisement was made in agreement with Casa Ricordi which handles Respighi’s mature works (and their U.S. agent Boosey & Hawkes), Naxos Records, and David Daniels’ Orchestral Music catalog for orchestras/conductors – which now lists all of Di Vittorio’s published orchestral scores and critical editions of Respighi’s early works. Tagged as Boosey & Hawkes, Casa Ricordi, David Daniels' Orchestral Music, Fountains of Rome, Gruppo Editoriale Panastudio, League of American Orchestras, Naxos Records, Ottorino Respighi, Symphony Magazine. 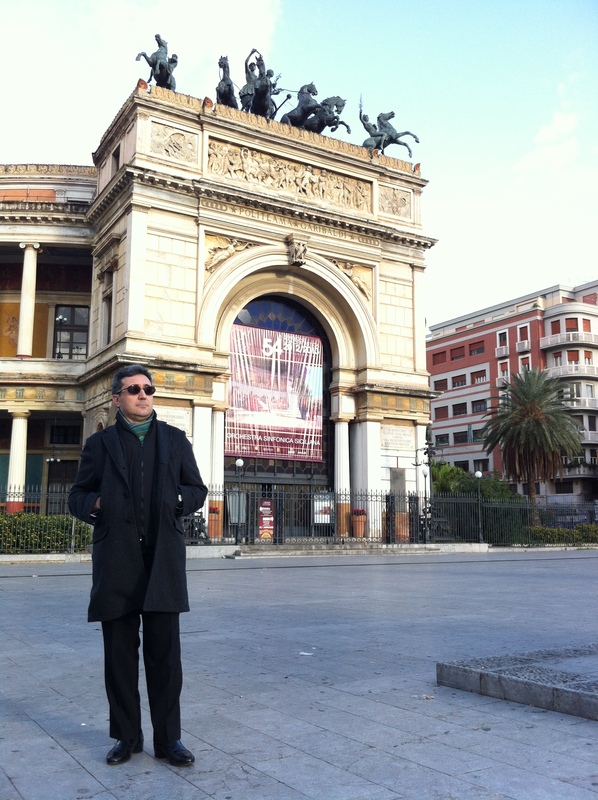 Di Vittorio completes his Overtura Palermo, which will be premiered in Palermo during the 2014/2015 Season. The work was written in honor of his native city of Palermo and its Mayor Leoluca Orlando, and for both major Palermo orchestras – Orchestra Sinfonica Siciliana and the Orchestra del Teatro Massimo Opera. Tagged as Mayor Leoluca Orlando, Orchestra Sinfonica Siciliana, Overture, Palermo, Teatro Massimo Opera di Palermo. Oxford University Press invites Maestro Di Vittorio to lead the US Premieres of early rediscovered works of major English composer Vaughan Williams. The orchestra receives grants from the Vaughan Williams Trust, and then from the Walton Trust to also showcase rarities of Walton at Carnegie Hall in May 2014. Tagged as Carnegie Hall, Oxford University Press, Ralph Vaughan Williams, Walton Trust, William Walton. 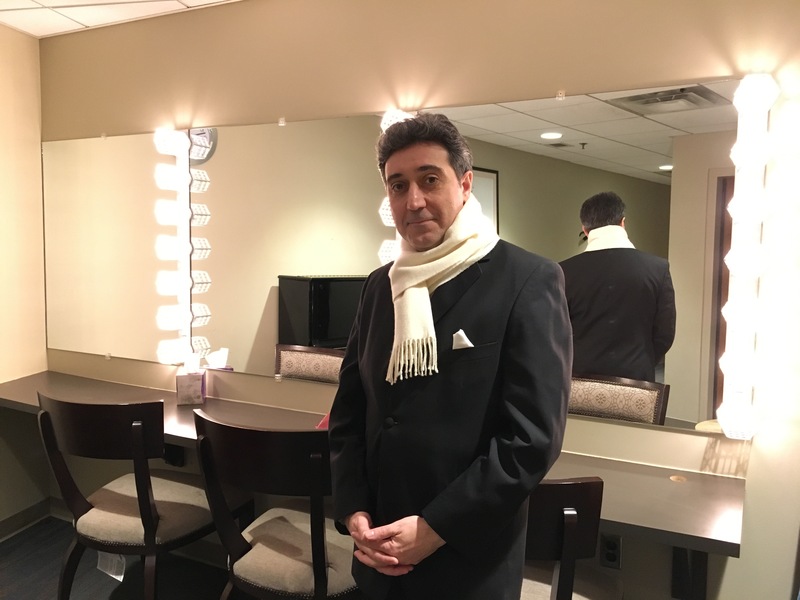 Di Vittorio and the Chamber Orchestra of New York announce their Sixth Season 2013/2014 at Carnegie Hall, including U.S. Premieres of recently published rediscoveries of Alessandro Scarlatti and early works of Ralph Vaughan Williams. The season opener will be held on October 12, 2013 in celebration of Columbus Day Week festivities and Italy Month. Tagged as Alessandro Scarlatti, Carnegie Hall, Columbus Day, Italy Month, Ralph Vaughan Williams.